Started in 1961, construction of the original Avala Tower lasted nearly four years – until the commissioning in 1965. The former tower was 202.8 meters high and was considered one of the most beautiful towers in Europe and the world. It was the only tower in the world to have a cross section of an equilateral triangle, the symbol of Serbian tripod chair. Avala tower was destroyed in the bombing of 1999, and a new Avala Tower was reconstructed and officially opened in April 2010. It is a replica of the old tower, and is 204.68 m high. The main design was drawn by the experts of the CIP Institute, and construction works were executed with devotion and precision by the builders of the “Ratko Mitrović” company. Visitors enjoy access to the summer terrace – Observation Platform at 122 m, and to a coffee-bar, just 3 m below. Two elevators in the new tower run at a speed of 3 meters per second, to reach the open-air Observation Platform in less than 40 seconds. Avala Tower was built in compliance with modern construction standards, seismic regulations, respecting the architectural design of the original tower created by our distinguished engineers and architects Uglješa Bogunović and Slobodan Janjić, and structural designer Milan Krstić. The Tower is the pride of all Belgraders, but also of the public enterprise “Broadcasting Equipment and Communications” that has been managing and operating it since November 2010. That is just one of the 262 locations, but the most beautiful and the most important telecommunication facility to serve television and radio broadcasters and mobile operators. “Statistics shows an increasing number of visitors to the tower, which is one of the top five tourist destinations in Belgrade. 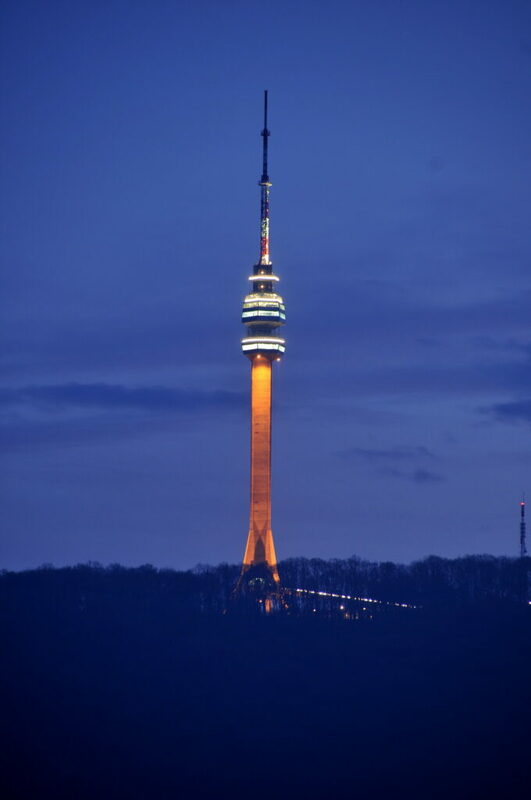 If you want to feel some of the atmosphere, visit us and take on a virtual tour of the Avala Tower.